Take the number of seats in a representative assembly and the number of seats in districts through which this assembly is elected. From just these two numbers, the authors of Votes from Seats show that it is possible to deduce the number of parties in the assembly and in the electorate, as well as the size of the largest party. Inside parties, the vote distributions of individual candidates likewise follow predictable patterns. Four laws of party seats and votes are constructed by logic and tested, using scientific approaches rare in social sciences. 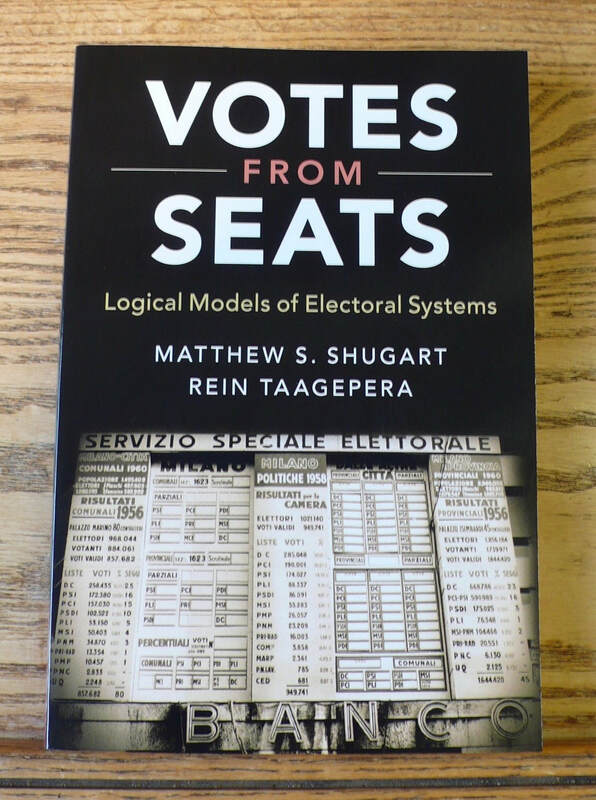 Both complex and simple electoral systems are covered, and the book offers a set of 'best practices' for electoral system design. The ability to predict so much from so little, and to apply to countries worldwide, is an advance in the systematic analysis of a core institutional feature found in any democracy, and points the way towards making social sciences more predictive. At Fruits & Votes, I have a category of posts devoted to discussions related to the book and its findings.